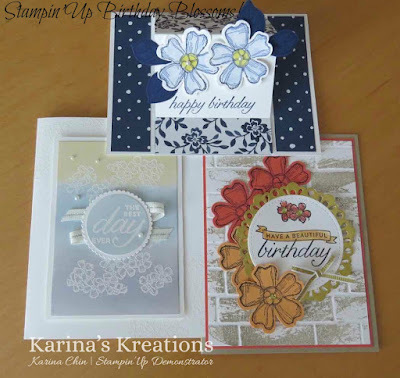 Karina's Kreations: Birthday Blossoms Stamp Set of the Month! 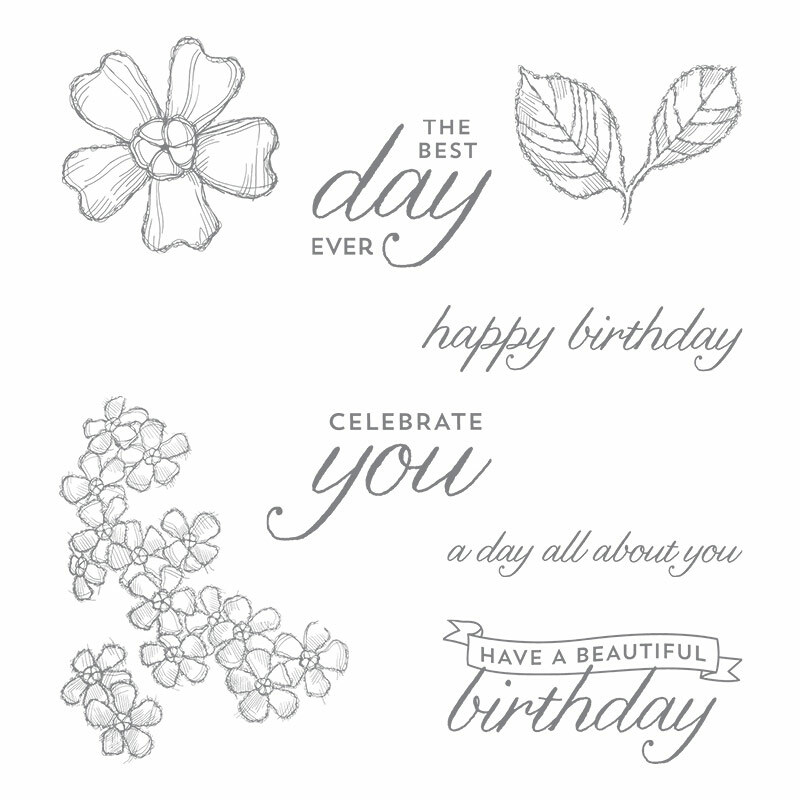 Birthday Blossoms Stamp Set of the Month! Every month I offer a class called Stamp Set of the Month. The class includes a stamp set and three hand stamped cards along with the instructions to make the cards. 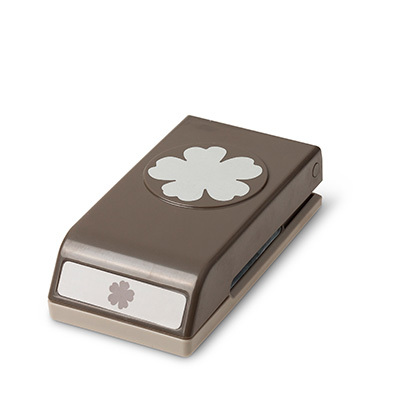 You have have the pieces to stamp and assemble at home too. I'm featuring the Birthday Blossoms stamp set #139471 this month. This is a great set because it includes greetings and pretty floral images. This set also coordinates with the pansy punch #130698. These are the cards this month. There is one fancy fold card and a technique cards using glossy card stock. If you want to participate this month, email me at kchin2@telus.net.